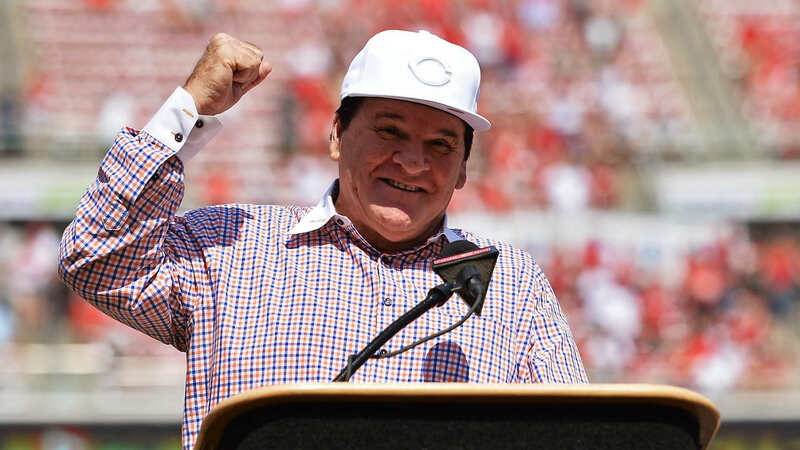 Pete Rose has been banned for life from Major League Baseball after betting on the sport and he has not been inducted into the Hall of Fame, but that’s not stopping him from continuing to voice his opinion about the current state of the sport. Rose explained he’s not happy when he watches baseball and doesn’t like the way it’s played fundamentally. More than that, he thinks players are hitting too many home runs and that baseballs are juiced. “I’m going to argue with baseball until the day I die,” Rose said, via USA Today. “that baseball is juiced. I don’t care what anybody says. They’ll say it’s not, which they have to. I saw a ball bounce behind the dugout the other day in Anaheim and it bounced into the second deck. Now, there’s something going on there. “I saw Bryce Harper break his bat in half, and hit a 420-foot home run in New York. That just doesn’t happen. I know the ballparks are small. It just seems to me that everybody who plays baseball today is a potential home-run hitter. The former Reds infielder didn’t stop there, though. Even with the number of home runs, Rose says they are diminished since ballparks are so small. While this isn’t the first time Rose has expressed his opinion about MLB, there has been a rise in number of home runs per season. A new homer-hitting record was set in 2017 with 6,105 shots, while players hit 5,610 homers in 2016.